The Blinn College District offers an Associate of Arts degree in Communication Studies and an Associate of Arts – Field of Study degree in Communication Studies. 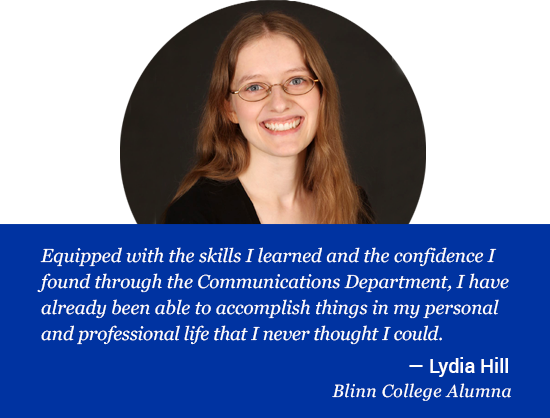 Through these degree plans, Blinn’s Communication Studies faculty teach students to communicate effectively in personal, public, and business settings. Students develop strong written and oral communications skills, and the ability to communicate within diverse environments. Students also develop critical thinking and listening skills, conflict management techniques, and problem-solving skills. 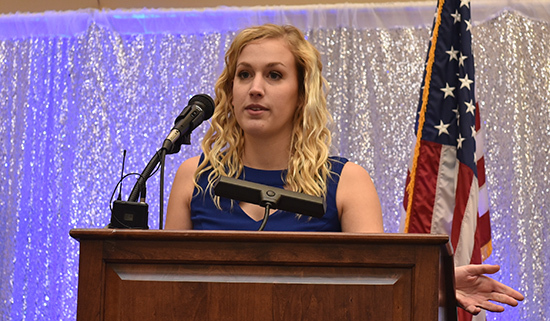 Students who earn their Associate of Arts or Associate of Arts – Field of Study in Communication Studies are prepared to pursue their Bachelor of Arts or Bachelor of Science in communications or a related field. According to the National Association of Colleges and Employers, written communication skills, the ability to problem solve, and the ability to work as a member of a team are highly desired by employers, and initiative, analytical skills, a strong work ethic, the ability to effectively communicate, and leadership skills are among the traits most desired across all industries and occupations. According to Forbes, the qualities most commonly sought in new hires are communication skills, creative problem-solving ability, and listening skills. All the courses required to complete Blinn’s Associate of Arts and Associate of Arts – Field of Study in Communication Studies both are available online, allowing students to earn either degree from the comfort of home.